Close to the skiing meccas of Keystone Resort and Arapahoe Basin, the small town of Dillon is reincarnated in the summers as a music lover&apos;s and boater’s paradise. 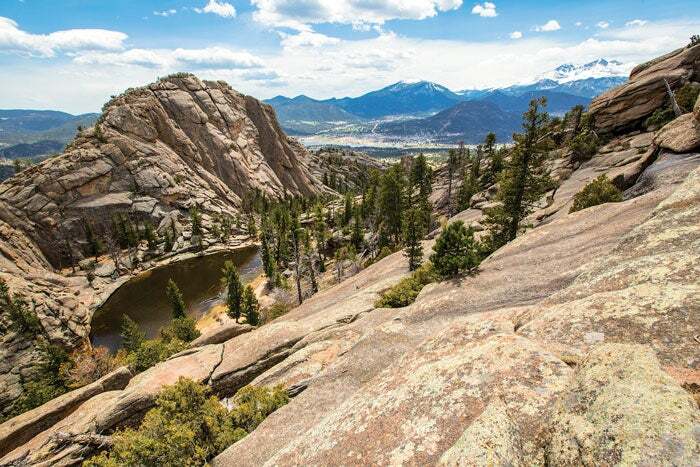 An easy hour-and-a-half-drive from Denver Airport and centrally located in the heart of the Rockies, along the idyllic shores of Dillon Reservoir, Dillon offers breathtaking vistas all around, including views of the Ten Mile Range, Gore Range, and Continental Divide. A short drive or bus ride to seven world-class ski and ride resorts, Dillon is the center of winter adventure. The town truly comes to life in summer with weekly swing and country dance nights, free weekend concerts at the Dillon Amphitheater, the best farmers market in Summit County, and the Dillon Marina. Dillon Marina is the highest deep-water marina in North America and attracts sailors from all over the world to master the challenge of shifting mountain winds and to participate in regattas. Not an expert? Not a problem. Sign up for sailing school or experience a private sailing tour. Sunset sailboat tours are available, perfect for a romantic date. Or, twice-weekly informative pontoon tours with the Summit Historical Society provide information about the relocation of the town, dam construction, and other interesting facts about the area. If traditional sailing isn’t your cup of tea, perhaps look to rent a runabout, kayak, or stand-up paddleboard. There are many ways you can be your own captain! Renting a pontoon boat is the ultimate group excursion, perfect for bachelor and bachelorette parties or get-togethers with family or groups of friends. Tip: Ask for an attached grill for the ultimate picnic on the water. 2. Eat and Drink Up! Dillon is known for its many eateries and micro-breweries. From gourmet holes-in-the-wall such as Cafe Profusion to street tacos at Tacos Tequilas to steakhouse breweries and wood-fired pizza, Dillon is a gastronomic delight that serves up tasty, authentic fare. Perhaps the best part is you can top it all off with award-winning craft beer from the Dillon Dam Brewery (www.dambrewery.com) or Pug Ryan&apos;s (pugryans.com). After a day on the reservoir, head over to the weekly free concerts at the Dillon Amphitheater with lawn seating for up to 5,000 people. From bluegrass to jam bands, blues, and Americana, Dillon’s music lineup is as hot as the sunsets. View a concert schedule here.